Did you know that there is an unofficial holiday observed in the United States called National Watermelon Day? It’s celebrated every third day of August of each year. It’s not known how this holiday came into being, when it was first observed, and who started it. However, one thing is for certain: It’s an annual celebration enjoyed by people of all ages! The watermelon is particularly loved because of its sweet and refreshing taste. It is also a favorite during summertime events such as fairs and picnics. The watermelon’s hard rind gives it a smooth texture, which also makes it easy to hold even by the youngest of hands. Its inner red fruit is easy to eat by young and old people alike. Its seeds even bring joy when spitting them becomes a game among friends and family members. The watermelon is also considered as one of the healthiest fruit you can eat as it is full of Vitamins A, C, and antioxidants. National Watermelon Day is a good time to appreciate this wonderful food and use the occasion to bring together family and friends to enjoy this healthy snack and have fun at the same time. 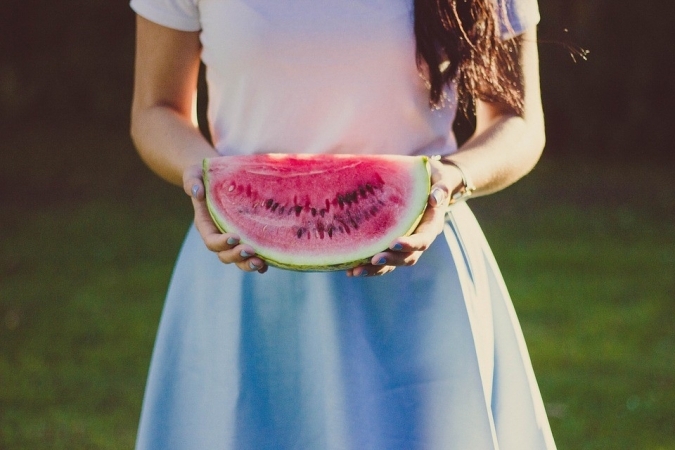 Eating a slice of watermelon is definitely in vogue on August 3, National Watermelon Day! However, you can be more creative in eating the delicious fruit that would add zest to its flavor. One way is to add watermelon to your fruit salad mixture and put a little bit of sugar on top. You can also cut the watermelon into squares and frost it with some coating of whipped cream. Top it off by sprinkling assorted berries and have it as a cake best served cold! You can prepare and eat watermelon snacks in different ways depending on how imaginative you are! Gather your friends and family together and show them your new watermelon concoction! Watermelon is considered both as a fruit and vegetable. There has been a debate between the gardening and botanical community as to what really is the classification of watermelons. While gardeners are convinced that watermelon is a vegetable given that it is closely related to the gourd, squash, and cucumber families, botanists, on the other hand, tend to believe that it is a fruit. All parts of the watermelon are edible—even the rind of its seeds. Oklahoma’s official state vegetable is the watermelon. Chris Kent of Sevierville, Tennessee grew a watermelon which weighed 159 kg (350.5 lbs), and this has been listed by the Guinness World Records as the heaviest. 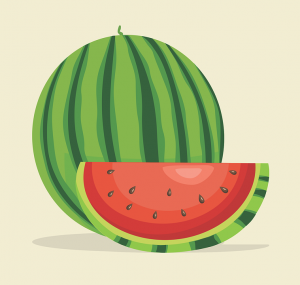 Watermelon comes in a variety of shades—from red, pink, yellow, and orange. It is believed that watermelon originated from a vine in southern Africa. Eating watermelon has various benefits including preventing or reducing high blood pressure, asthma, dehydration, indigestion, inflammation, and muscle soreness. Watermelon is a good source of Vitamin B6, which can boost brain power and is essential for normal brain function. Watermelon contains about 6 percent sugar and 92 percent water. China leads as the world’s largest watermelon producer with 71,754,604 tons harvested annually while Turkey is at second with 4,052,386 tons. On National Watermelon Day, let our veterans experience the same happiness and satisfaction that we get from eating watermelons! You can make that happen by donating your old and unwanted car or any other vehicle type to Veteran Car Donations. We will sell your donated vehicle at auction and use the proceeds to deliver essential services to our nation’s heroes who are mired in poverty for a variety of reasons including lack of opportunity to find suitable jobs. With your support, indigent veterans will be able to receive financial and housing assistance, medical treatment, employment opportunities, education, counseling and therapy, and more. Your car donation will surely go a long way in improving the living conditions of our struggling veterans and their families. To know more about Veteran Car Donations and our donations process, feel free to call our toll-free 24/7 hotline 877-594-5822. You can also visit our FAQ’s page or contact us online. You can make your car donation by filling out our online donation form. We can accept your car donation anywhere in the United States since we have car donation programs in all 50 states. What are you waiting for? Call us at 877-594-5822 to make your car donation. On National Watermelon Day, let’s bring cheers to our nation’s heroes by donating a vehicle for their benefit.